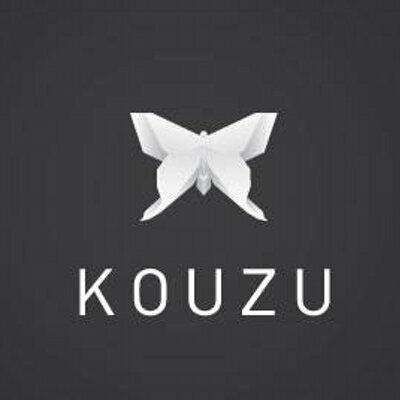 Kouzu, the stunning new contemporary Japanese restaurant and bar in Belgravia overseen by superstar chef Kyoichi Kai, is fast establishing itself as one of London’s go-to destinations for fine dining with Hollywood A-listers, royalty and celebrities included among its regulars. Presenting the capital with a unique culinary experience – Japanese dining as an art form – Kouzu is housed in a grand Grade-II listed mansion dating from the mid 19th century. Walk through the huge palatial entrance door into a stylist and surprisingly minimalist interior. Upstairs the floating mezzanine level is the setting for an omakase sushi bar, where diners can enjoy the undivided attention and expert recommendations of their own dedicated chef. The ground floor features the main 80 seater restaurant and cocktail bar presided over by a supremely talented Japanese mixologist whose Yuzu Bellinis have already achieved legendary status. Also downstairs, accessed through the silver open-plan kitchen, is a secret door to a private dining room where up to seven people can dine exclusively, attended by their own private chef. The starring role at Kouzu is played, however, by the exquisite food. Assisted by his all-Japanese team, Kyoichi Kai draws on over 30 years of experience at some of the world’s top restaurants (Kyubi at The Arts Club, Zuma and Suntory among them) to create his extraordinary menu. Meaning ‘composition’ the aptly named Kouzu shows huge attention to detail, not only on the flavour of each dish but also the presentation. Merging the edible with the visual, Kyoichi Kai’s creations are works of art. With intricate designs that harmonise with the contemporary decor, dishes are nevertheless characterised by traditional ingredients and methods. Classic sashimi and sushi are complemented by ‘new stream’ dishes such as salmon with julienne apple & cucumber; foie gras with blue cheese & teriyaki sauce and tuna with ponzu sauce. The menu also features charcoal grill dishes, including wagyu beef rib loin steak and smoked chilli prawns, alongside tempura, specials and salads, all using the finest ingredients from the UK and Japan. Kouzu’s comprehensive wine list is accompanied by an extensive collection of whiskies, including ten from Japan; signature cocktails; Japanese beers by the bottle (Asahi, Kirin, Ichiban Shibori and Sapporo) and a selection of sake. A totally authentic and exclusive culinary treat for all the senses, Kouzu is open Monday to Friday 12 noon to 3pm and 6pm to 10.30pm and Friday and Saturday 6pm to 11pm. The bar is open Monday to Thursday 12 noon to 11pm and Friday and Saturday 12 noon till midnight.